These Southern style pinto beans only take 4 ingredients and cost less than $5 to make! They are perfect eaten plain or rolled up in a soft flour tortilla. Growing up in Ohio I ate my fair share of beans. Navy beans, butter beans, lima beans….you name it, I have probably eaten it. What’s not to love about beans? They are cheap, filling and delicious. However, I am a little picky about my beans. I do not like my beans dry. 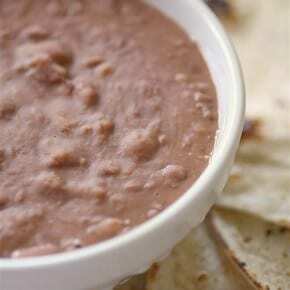 Meaning, I’m not really a fan of refried beans. I find them often times to be far too dry for my liking. I want my beans borderline soupy and full of flavor. This recipe definitely fit the bill. The only flavoring I used (besides a little salt and pepper) was the addition of a delicious smoked ham hock. Talk about amazing flavor! I swear I could just gnaw on a smoked ham hock…I seriously love them that much. If you have never used a smoked ham hock with your beans before you need to give it a try. It’s amazing. 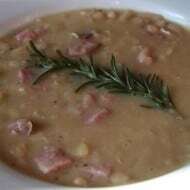 The hock gives the beans a nice smoky flavor without overpowering the natural flavor of the bean. That equals delicious in my book. Also the kind people from Tortilla Land sent me some fresh flour tortillas to try. They were amazing with the beans! The delicious taste of the tortillas reminded me of the fresh tortillas my best friends mother used to make. Believe me when I say these are nothing like what you find in the store. They are a millions times better. I used them to make small bean roll ups but they are also delicious hot off the griddle with melted butter. Don’t judge….it’s amazing with fresh flour tortillas. I now need to figure out where I can find Tortilla Land in the store so I can try their corn tortillas. I can only imagine how amazing those taste! Wash beans and pick out any odd looking beans or rocks. In a large pot add ham hock and beans. Cover beans with 2 inches of water and cook on high till boiling and then turn down to a gentle simmer. Cook beans for 4 hours until tender. While the beans cook you will have to add more water so they do not burn. You are just adding enough water to cover the beans. Do not drown them. Once beans are soft use a rubber spatula to smash some of the beans in the pot. I like to leave my beans mostly whole but like a few smashed to thicken up the beans. If the beans are too thick add a little more water. 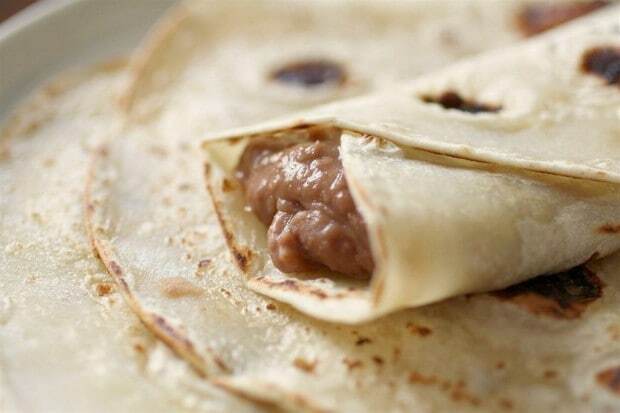 If you have tortillas you can make tortilla roll ups or simply eat the beans plain. Those tortillas look so good! And the pinto beans look great! 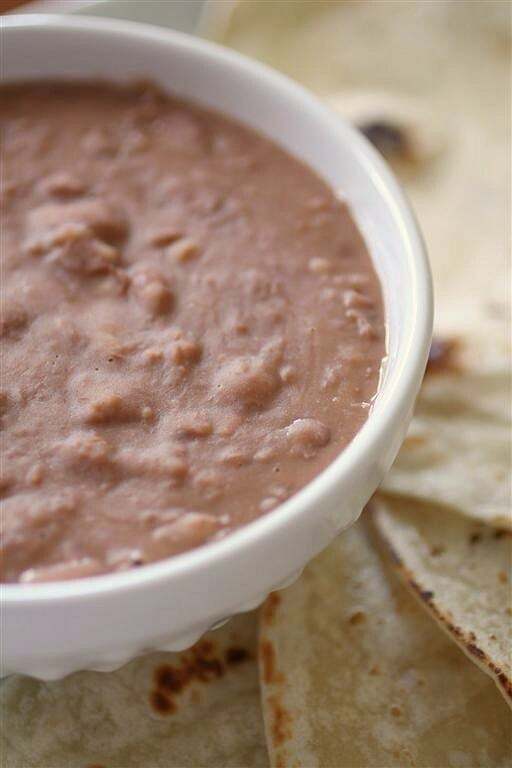 I can eat cold refried beans right out of a can (I’m not judging you on the buttered tortillas, so don’t judge me! ), so I would probably love these! Those pinto beans sound wonderful, so perfect as a filling in the tortilla roll ups! I’m a huge bean fan. Cheap and healthy. I just started making homemade tortillas recently and now my husband complains if I get them at the store. Did they send you as many tortillas as they sold me? I have about, oh, 600 left! And yeah aren’t they AMAZING. I’m in love. I might have to beg them to ship me some corn ones though. For “comparison” and “taste testing”. I love that bean filling! I’ll take my beans however i can get em and this looks perfect! Wow- those beans look ridiculous good! 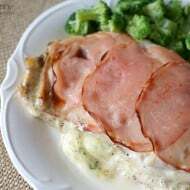 I’m not a ham fan…but I bet the ham hock does add some amazing flavor to this recipe. And I must agree- beans rock! 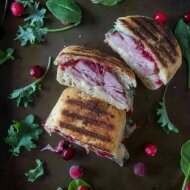 What a yummy looking recipe! These pinto beans would be wonderful in a burrito. Thanks for sharing! You have a beautiful blog and I’m so glad to have found it! 🙂 I’ll be coming back soon. 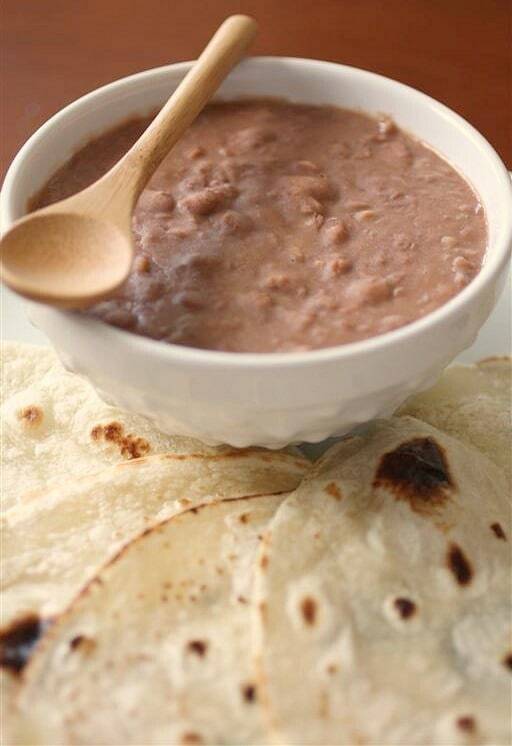 Tortillas and beans, comfort food at its best. Mmmmm…I love beans in ANY form! I love Tortilla Land tortillas, too…um…can I come over for some? Love those tortillas too. I haven’t seen corn, but now I’m going to look for them. I’ve been wanting to make beans in the pressure cooker. Thanks for the great, simple recipe. These beans sound amazing…. and that top picture is so great, I can almost taste them! going to fix them today. since someone gave me a 5 lb bag of pinto beans, could you say what size bag you used?